Let's take a look back at the first decade of the 00's and see what we, the Web community at large, searched for online. The results here are pulled from a handpicked variety of search engines and search lists, and represent the most searched for topics over the longest period of time. Entertainment-related searches are prominent in this list, followed closely behind by social networking sites, politics, and sports. 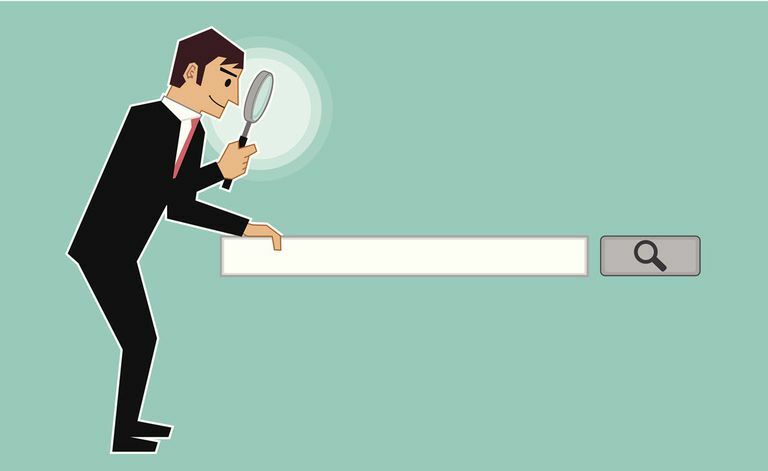 All of these searches appeared in at least two of the yearly end of the year search statistic compilations, and represent the sum total of millions of searches. This popular social networking site first came onto the Web scene in 2004, and focused primarily on students high school to college age. As it gained popularity, the site became more accessible, including not only students, but organizations and companies. People use Facebook to connect with friends, family, and work colleagues, create events, share photos, and more. It's one of the most highly trafficked sites on the entire Web. Baidu, started in 2000, is the largest Chinese language search engine in China. More people use Baidu to search for content than any other site on the Chinese mainland. MySpace, started in 2003, is one of the world's most popular social networking sites, with hundreds of millions of members. People use MySpace to connect with friends, listen to new music, watch videos, and much more. The World Cup is an international men's soccer championship that happens every four years. Millions of soccer/football fans all over the world search for World Cup information on a variety of search engines and sites. Wikipedia has been around since 2001, and is a free encyclopedia of a staggering array of information. Anyone can edit Wikipedia; it is an open project that requires on the Web community to flourish. The pop star, who made her debut in 1998 with "Hit Me Baby One More Time", is a perennial favorite of many, many searchers: she showed up in the top searches nearly every year of the decade. The boy wizard has captured the hearts of millions of fans all over the world since the beginning of the saga in 1997. Latin American singing sensation Shakira has been on several yearly search lists. She is probably best known for her hit singles "Whenever Wherever" and "Hips Don't Lie", along with her best-selling Spanish language album, Fijacion Oral, vol. 1. The Lord of the Rings trilogy: "The Fellowship of the Ring," "The Two Towers," and "The Return of the King," were made into three movies that dominated movie Web searches this decade. President Barack Obama made history by being the first African-American president in American history, and our Web searches reflected this pivotal moment. Starting with her role in "The Parent Trap," Lindsay Lohan has been in multiple teen-focuses movies this decade, including "Freaky Friday," "Confessions of a Teenage Drama Queen," and "Mean Girls." Most of the Web searches for Lindsay in the last five years have centered on her addictions and very public family troubles. We all love to play games, and our Web searches sure did reflect that these last 10 years! Games figured prominently in the top searches for every year of this decade. Since its debut in 2002, American Idol has snagged millions of viewers and become part of American television history. Racing fans made their preferences for NASCAR known this decade; the popular sport showed up in several year-end search lists in the last 10 years. The iPhone debuted to the public fairly late in the decade (2007), yet still managed to dominate Web searches. President George Bush was President for most of the first decade of the '00's. Highlights of his terms in office included the controversial vote recount, the 9/11 terrorist attacks, and a war against Iraq and Afghanistan. The "Star Wars" series is arguably the most popular film series in history, and the quantity of Web searches reflected that. Finding lyrics to our favorite songs is an extremely popular Web search query. WWE, or World Wrestling Entertainment, has captured the attention of millions of fans on the Web: regardless of whether it's real or staged. Pop star Jessica Simpson has been in and out of popular Web searches this decade with her marriage, divorce, popular TV show, and sputtering singing career. Socialite Paris Hilton has topped search lists this decade, mostly due to her indiscretions on video and a fledgling singing career. "Baywatch" babe Pamela Anderson is pretty much a Web search mainstay. She has topped Web search lists for a decade, and this trend shows no sign of slowing down. Iraq was a relative blip on the Web search screen, but that changed with the war against Saddam Hussein declared by President George Bush (No. 16 on this list). YouTube is the most popular video site on the Web, and has been since it began in 2005. Google purchased the company in 2006. Do you have a cell phone? Ever looked for ringtones online? So have millions of other Web searchers, and though the number of ringtone queries was astonishingly large for this decade, the rise of mobile devices will only make that number grow bigger.